Added on August 24, 2018 The News Wheel 2018 Ford Mustang , EAA AirVenture , EAA The Gathering , Eagle Squadron Mustang GT , Ford EAA AirVenture , Ford Mustang , RTR Vehicles , Vaughn Gittin Jr. The one-of-a-kind Eagle Squadron Mustang GT fetched a high price at the Experimental Aircraft Association’s The Gathering in Oshkosh, Wisconsin, earlier this month. 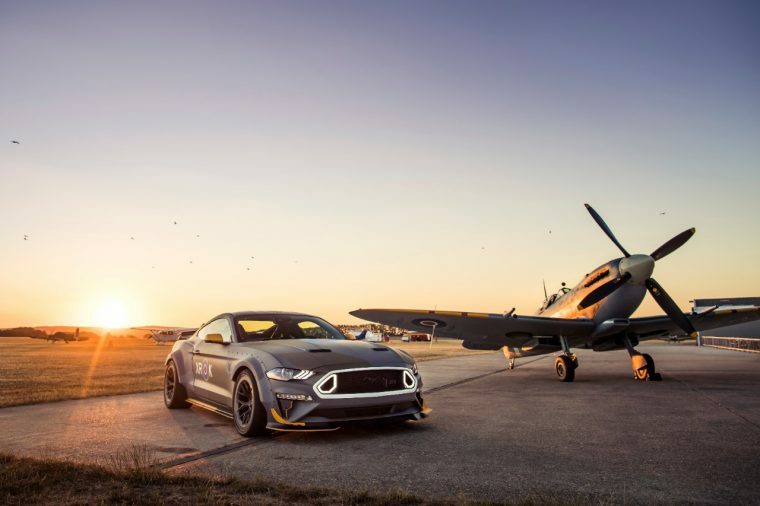 When the gavel crashed down, the 700-horsepower Mustang inspired by the Royal Air Force’s Eagle Squadron was bequeathed to Brayton Williams for a total of $420,000. William’s winning bid also earned him the right to take his newly won pony car for a spin during the 2018 Ford Woodward Dream Cruise. 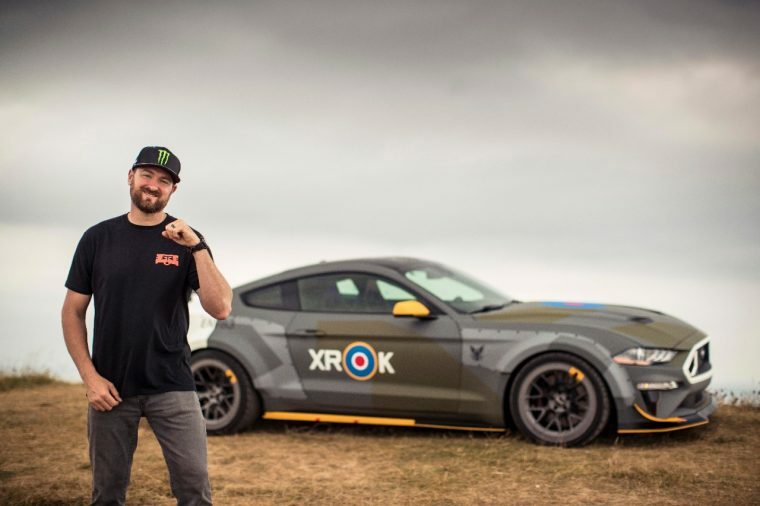 The Eagle Squadron Mustang GT was built by Vaughn Gittin Jr.’s RTR Vehicles and features a Mustang RTR carbon fiber wide-body kit, Gurney flap on the Performance Pack rear spoiler, RTR Tactical Performance Suspension Package, and a supercharged 5.0-liter V8. Gittin Jr. was on-hand at The Gathering to deliver the keys to Williams personally. “We very much appreciate Brayton’s winning bid, because these proceeds allow EAA’s inspirational and supportive programs to keep the dream of aviation alive for the next generation of pilots and those in other flight careers,” said EAA CEO and Chairman Jack Pelton. This marks the 20th year that Ford has lent support to EAA AirVenture and the 10th in which it has provided a unique, one-of-one vehicle for auction. Proceeds from these vehicles to date have supplied more than $3.7 million to youth education programs aimed at new generations of pilots-in-training.